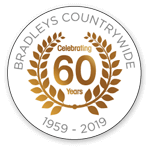 Bradleys Countrywide are one of the UK’s leading Business Transfer and Commercial Estate Agents helping hundreds of people to buy and sell businesses every year. We’ve been established in excess of 60 years, dealing with Business Transfer, Commercial Property, Residential Property and Property Management. More information on any of these areas of our business are just a click away.